The Economist and Future Publishing took away the most prizes with two awards each at the annual British Media Awards last night. They also received an award for Online Advertising Innovation. Future Publishing’s N-Photo magazine won two categories, Social Media and Marketing Innovation and Consumer Magazine Innovator of the Year. These awards represent the best of innovation in British Media. And they illustrate how the industry is changing: the lines between media owner, technology company and agency are becoming blurred and the British Media Awards simply celebrate the best media ideas, brands and products, wherever they come from. This entry was posted in Awards and tagged Awards, British Media Awards, Economist, Future Publishing on April 27, 2012 by Tom Rouse. Future Publishing has announced the launch of an iPad-only magazine to act as a second screen to the computer. The term second screen generally relates to the use of a tablet or mobile in addition to a TV or other device. Future’s new title, called How to Draw & Paint, is the latest in a line of Future publications to be launched without a print edition. Previously released iPad-only titles include Teach Yourself Photoshop and the interactive editions of T3, Tap and Guitarist Deluxe. 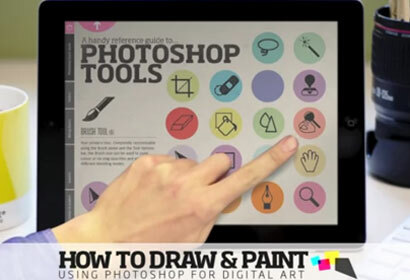 The app magazine, which serves as a tutorial for those “using Photoshop for digital art”, utilises the interactivity of the tablet. We’ve taken a new approach to delivering tutorial content on iPad based on how digital artists use their tablets alongside their main computer. 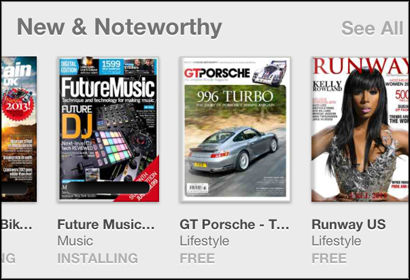 Future has more than 70 titles in Apple’s Newsstand. The publisher said the release of the Newsstand portal in October resulted in six million app downloads in the first six weeks. How to Draw & Paint is available from on the App Store via a 90-day subscription priced £4.99. This entry was posted in Magazines and tagged Future Publishing, iPad, second screen on April 3, 2012 by Sarah Marshall. Apple’s new Newsstand app resulted in two million digital downloads of Future Publishing titles in the first four days, resulting in consumer spending well in excess of normal monthly revenues, the magazine publisher has said in a release. 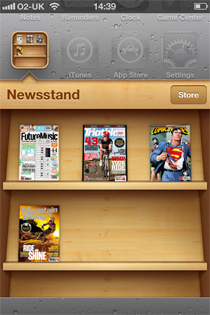 Newsstand, which provides iPhone and iPad users who have updated their devices to iOS 5, released last week (12 October), with a dedicated portal to download magazines from the App Store, “creates an amazing opportunity for publishers”, Future UK’s CEO Mark Wood said. Future Publishing, which has titles including .net, Procycling and Digital Camera, released 55 digital magazines to Newsstand on the day of launch. 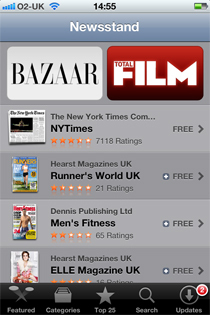 It has since released more and now has 65 UK and US digital magazines available, some free and some paid-for. We plan to include more sampler issues in every magazine container in coming weeks, as well as uploading high price-point bookazines and premium one-shot titles. This entry was posted in Magazines and tagged apple, digital magazines, Future Publishing, newsstand on October 18, 2011 by Sarah Marshall. A decline in print advertising at specialist leisure publisher Future has been more than compensated by strong growth in digital, the group announced today. Print ad income fell 10 per cent year on year in the last quarter of 2010, but digital grew by 25 per cent over the same period. Online now makes up a third of Future’s total advertising revenue and the company said income from digital magazine subscriptions was also increasing “substantially”. This entry was posted in Business and tagged Advertising, Future Publishing, revenue, Stevie Spring on February 9, 2011 by Paul McNally. Future Publishing will launch FirstPlay – a games show delivered directly to PS3 consoles. The show will feature video reviews, details of new releases and a downloads section and will be priced at 99p per weekly episode or £8.99 for a three-month subscription, reports Tech Watch. There will be six ad slots in the show, a trailer of which is available on the Future website. This entry was posted in Editors' pick, Magazines and tagged FirstPlay, Future Publishing, gaming, paid content on February 16, 2010 by Laura Oliver.